Product prices and availability are accurate as of 2019-04-18 09:59:37 UTC and are subject to change. Any price and availability information displayed on http://www.amazon.co.uk/ at the time of purchase will apply to the purchase of this product. This is Book 2 of the third edition of the Wainwright Guides to walking in the Lake District, following on the release of Book 1 (The Eastern Fells) earlier in 2015. Other volumes are due to follow over the next few years. 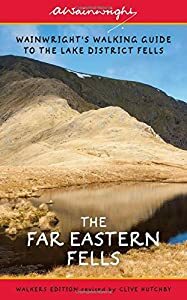 Book 2 covers the area between Kirkstone Pass and Ullswater to the west and Swindale Beck and the River Lowther beyond Haweswater to the east. It reaches in the south to a line roughly drawn from Ambleside through Troutbeck to the head of Long Sleddale. Wansfell, Kentmere Pike, Harter Fell, Kidsty Pike, Place Fell and Hartsop Dodd are all included, with many other peaks in this area. One name above all others has become associated with walking in the Lake District: Alfred Wainwright, whose seven-volume Pictorial Guide to the Lakeland Fells, first published in 1955-66, has become the definitive guidebook. Wainwright's meticulously hand-drawn maps, diagrams and drawings take walkers up the 214 principal hills and mountains of the Lake District, describing the main routes of ascent from different starting points, as well as lesser-known variants, showing the summit viewpoint panoramas and the ridge routes that can be made to create longer walks. Every page combines words and illustrations to present the routes in a way that is original, visually appealing and easy to follow. 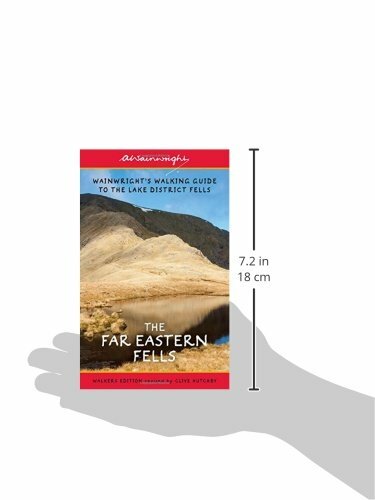 This new edition of Wainwright's Walking Guide to the Lake District Fells has been comprehensively revised. Paths, maps, diagrams and route descriptions have been checked and corrected throughout. These revisions have been undertaken by writer and designer Clive Hutchby, author of The Wainwright Companion. In the "Related Products" section below there is a link to the 2nd edition of Book, previous updated by Chris Jesty. The 2nd edition is still in regularl use by many walkers. Also, many Wainwright fans like to complete a set of the same edition on their bookshelf. You may have some of the 2nd edition but not Book 2, in which case why not get both editions, the Chris Jesty 2nd edition for the shelf and the new 3rd edition for your pocket?